The Mercedes Benz vans have quickly become the industry standard for their ease of modification and durability. The GMC Savana/Chevrolet Express are the tried, tested & true workhorse of the temperature controlled transportation industry. Ford has the longest running production cargo van nameplate in the North American market. The Nissan NV series of commercial vehicles offers the dependability of Japanese engineering. Today’s marketplace demands small business to be quick & agile to respond to customer’s wants & needs. 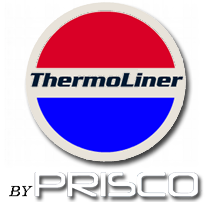 PRISCO VANS SPECIALIZES IN FOOD GRADE PREMIUM INSULATION SYSTEMS FOR TEMPERATURE CONTROLLED TRANSPORT. We pride ourselves in our high quality workmanship and reliable service for the least amount of downtime. Our installers handcraft and custom build each reefer van in our fully equipped manufacturing facility. We guarantee a water tight and thermally efficient system that is built to suit your needs. Whether it is one van or an entire fleet, at PRISCO VANS we do things RIGHT!